Why I really liked my U12/U13 basketball and soccer coaches. Looking back, I remember exactly when I became an "Active for Life" athlete. My U12/U13 sports seasons were, by far, my most memorable and formative. During those years (Grade 7 and 8) I played school and club soccer and basketball. My soccer coaches were Jerry Mastroianni and Lino DiPasquale. My basketball coaches were Larry Cooney, John Conte, John Witlib and Ralph Nero. All important people in my formation, philosophy and methods as a coach. I was very lucky to have them in my life. Now that my sons have all passed through the Grade 7/8 phase of their life, my appreciation for their coaches makes me enjoy my own memories even more. 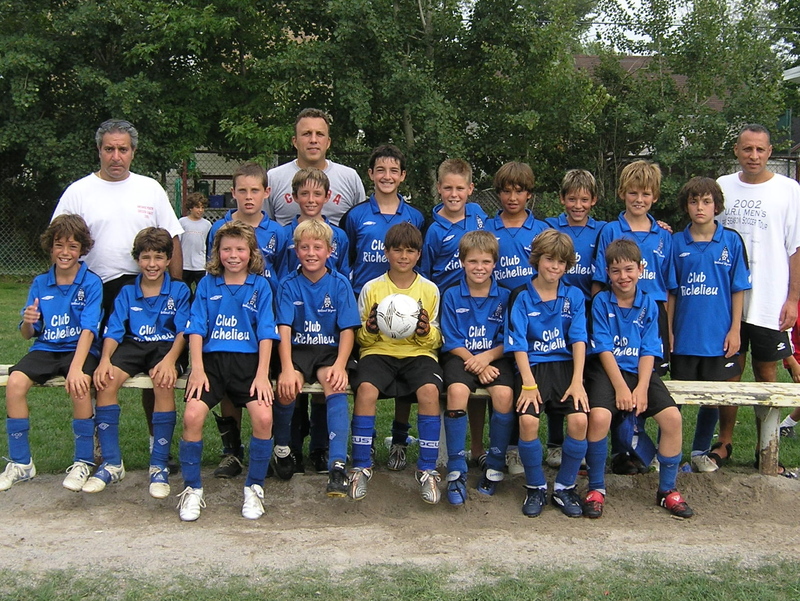 My U11 year was not that much fun. My travel team had very poor practice attendance and we never did look or feel like a team. I was a main player on the team which made it more frustrating. For U12, I decided to play U12/U13 house league with my friends and my coach was Jerry Mastroianni. You would never look back and consider Jerry a soccer guy, but I do and I still remember him as one heck of a coach. He was only 18 when he coached us, had his own car and already a hard working guy. We all knew him because he was also a basketball referee. Jerry wasn't a house league coach in the sense that we got a half-program or just show up type-of-thing. First of all, he made sure we were fit. Two sessions/week, 8 laps before we got into any soccer. Then, Jerry made sure everybody had ideas about their positions (my first time ever). I can't even remember what he told us or didn't tell us, all I remember was he took the effort in making sure everybody felt useful and understood their job. Games were fun, the league was fun and I will never forget Jerry as a coach. It impressed parents that a young man like Jerry was as dedicated as he was to our team. A few years later I worked with Jerry at a local pizzeria and still see him often. I hold him in high regards. home and was a big supporter of local hoops. Still, to this day, he is the namesake of the Welland Tribune's Basketball Tournament MVP and his former funeral home sponsored Welland's Sportsman of the Year award. Mr Cooney made sure we could all dribble and shoot. There wasn't much in terms of set plays, etc. If I took anything from his sessions it was repetition and technique. During games he was competitive and fun at the same time. Tournaments were fun and he smiled at all times. Don't get me wrong, there was a fire burning in him that we all felt, but we learned how to play. Seeing him afterwards I realized even more what a gentleman he was. I was proud to have Mr Cooney as my coach. "All important people in my development, philosophy and methods as a coach." Everybody who played travel also played house league. John Conte was our coach. John passed away at a young age but I will never forget him. His knowledge of the game was sound and he ran good practices. He could sneak in great one-liners while delivering his message while we worked on set plays, etc. Our practices were fun and we learned. But what I remember the most about John was that he ALWAYS came to games dressed like a million bucks. There were always girls talking about John Conte and that made him a king to us. The fact that he was a good coach who cared about us was an added bonus. Games were fun, but he expected us to play hard. He used to sneak out of work for a while (men's wear, of course) to be with us. Everybody, all game, was getting information, heck for something and funny one liners. We're talking players and referees alike. The one thing about John was I heard parents compliment him on being dedicated. Not sure why that sticks, but it does. Right now John's brother, Ben, coaches my son's U18 team and I am glad to help. I feel like I am paying John back. When you played for St Andrew's School in Welland, it was an honour. The school won 5 straight City and County championships, on the boys and girls side. It wasn't by mistake. John Witlib was the coach and he was OK with whatever you brought to training, as long as it was perfect and 110%. As a student, you were expected to be better than everybody else, not just as good. Marg Connelly was the girls coach. Every year, after first report cards, he would go through EVERY report card for Grade 6 boys and up. There was a list on the wall shortly after saying "The following boys are eligible to try out for the School Boys basketball team". If you had one failing mark in any class, you were not on that list. Every June he had a meeting with all boys who were in Grade 5-7 and gave us a training plan for the summer. Every practice, 30 foul shots. Every day during the winter you had to have boots, hat, coat, gloves and a scarf. On game days, dress pants, dress shoes and button up shirt. Your uniform was brought to school on a hanger and hung in the nurses room. Over and above all of this was the basketball. And that was a story all on its own. We all had a ball in our hands so much during grade 7 and 8 you felt like basketball was the reason you were at school. (Mr Witlib made sure we knew it wasn't). Mr Witlib was not only a very very good coach, he was a very solid man. We all looked up to him. He was athletic, well spoken, very funny and he cared about us. On top of all that, he knew a hell of a lot about basketball. Ralph Nero was a legend to all of us. Growing up, playing minor basketball, you wanted to make Mr Nero's team in Grade 8. He was a nice man, a VERY knowledgeable basketball coach and he cared about us. During that season, I really learned how to play sports, not just basketball. Mr Nero taught us how to play , technically and tactically. We used to do this position during warm-up which was our defensive stance. We held it till it burned. Technique was super important to him and he could diagnose any problem we had with remedies. So many good players passed through Mr Nero's programs he would have his own alumni association of university and college players. It clicked into me as an adult that his real intention was to make sure we could all compete at the high school level. over the next few years, when he showed up at your high school games, you tried harder. Years later, he was coaching basketball at Niagara College when I started coaching soccer. From there I learned one of the building blocks of the LTPD philosophy being propagated now. He knew the college aged athlete and how to treat them. I watched him with them and he wasn't the same as when he was with us at U13. We had may talks about this over the years and I found it very helpful. During the winter of 1979/1980, on Mondays and Wednesday, we would train at St Andrew's until 5:30ish and Mr Nero drove by in his big Ford and we all piled in to go to Plymouth School to train until 8pm. Mr Witlib and Mr Nero. Can you ask for a better situation to be in twice/week? Growing up, Port Colborne always had the best team in our age group. 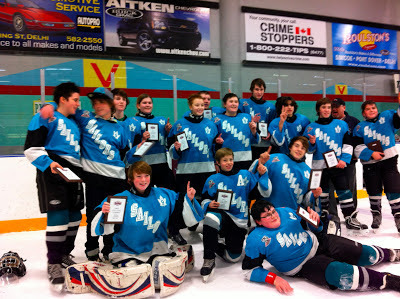 When I played for Jerry in U12 there was a travel tournament in Welland. Welland had entered a U11 team to fill a spot and asked if I would play with them. So I was a U12 player on a u11 team in a U12 tournament. We played Port Colborne and after the game their coach asked why I wasn't playing for Welland U12 travel and asked if I would consider playing with them next season (U13) . The coach was Lino DiPasquale. My father never interfered with my sports, but he did tell me I wasn't playing travel soccer in Welland anymore. So it all worked out. Starting from January training at the INCO gym, I had been overwhelmed with so much soccer information that I'd never heard before. When he pulled out a chalkboard to describe the new formation they were playing. I was in heaven. The players were good, the training was busy and I was learning. I knew most of the guys from previous years and basketball so there was no social barrier. I had a slow start but assistant coach Jim Babirad and Lino both made sure I molded into a winger and success came soon after. I was a big boy and they took full advantage of that. Our games? Well, I tell people our team was non-stop socializing up to the opening whistle and after the last whistle. Family presence was important with that group. The game, well it was a thunderstorm. You were expected to produce but they prepared us to produce. Lino was passionate, knowledgeable, volatile and caring all at the same time. Looking back, I'm not sure how I would rate him as a technical teacher, but he could get us to play, and play hard. I say that because I don't remember the technical parts of training with them. Years later, we lost in extra time in the Ontario Cup final. We were in the dressing room, upset, Lino walked in, big smile, sat next to our left winger, Mark, and slapped him on the thigh and said "That was one hell of a soccer game, eh Frenchie?". At that moment I knew the last few years were the right decision. I still see Lino and many of my teammates. I will never forget that first year with them. Those two years of my sporting life happened at the right time, at 12/13 years old. That is when kids decide to quit or change sports. For me, it cemented my passion for both. I cherish the guys I played with during that time. As a coach, you have that power when the athletes are that age. Much of what I do and my conduct is modelled after those six men and their assistants. I still see my coaches often and we always talk about our common sport. They know what I am up to and I feel like a little boy again when they say something nice. All of my coaches were nice people from U6 to men's league. But those two years with that group of people really stands out as the most formative. So far, my sons all had fairly positive sports experiences during U12/U13 with soccer and hockey. My youngest son was a bit nonchalant with sports but something has sparked in him this year, during grade 8. Physically, he is the most equipped of my three sons. Tactically/Gamesmanship, my middle son leads his brothers and my oldest is the most competitive. Basketball was not always a good experience, but my boys still enjoy their hoop on the driveway so they did get something out of it. The coach who assumes the job at the beginning of the Active for Life Stage has a very big job to do and their influence is huge. 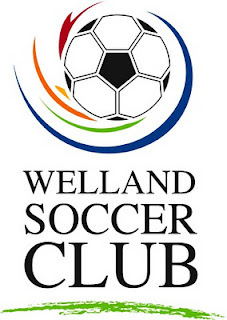 Will new soccer facilities in Welland change our club? The Welland Soccer Club has a new home. The Youngs Insurance Sportsplex is a partnership between the City of Welland, Nustadia Recreation , Welland Soccer Club and the Welland Indoor Tennis Club. Our old facility was very good. It had 7 grass fields that were able to accommodate 4v4 to 11v11. We had an indoor facility that was the old style field with boards and the field measured 200' x 90', but it was very suitable for soccer although it had the old style turf as well. Our new facility has a full size indoor and two full size outdoor artificial pitches with the latest technology in turf. The indoor facility is routinely divided into 4 mini fields that are rented by teams (with great rates). The artificial fields all have multiple portable goals. Three grass fields are still growing outside (for spring 2014) and we still have our seven fields at the old location. Why the new facility? Well, first and foremost, the idea was hatched by city employees who knew we were sitting on a valuable chunk of property. The new location is old industrial land. Second, we did need a new indoor setup. The boards on the indoor field were antiquated, the turf needed replacing and the demand was there for more space. The building also needed a lot of work. It has since been taken over by Niagara Sport and Social. I am still trying to wrap my head around the concept of a public-private-partnership (PPP). It has proven to be a bit of a change in terms of how money travels through the system, but that's a story for another day. I am not saying it's good or bad, it's just new to me. So programming and intensity matched what was available. I am not saying our coaches don't take their jobs seriously, but they did schedule their programs around available facilities. "There will also be pressure on the Welland Soccer Club to expand programs as our income was a major selling point for the city to build the new complex." So, if facilities determined our teams' programs and we now have expanded facilities, would the natural progression be towards more frequent and longer programs? Will coaches respond with having more sessions? If so, will players' interest increase accordingly? And will the obvious end result be realized ... a more committed and better built athlete? The new facilities have also gotten our membership excited for the first time in a while. But we need to move the new momentum from the "euphoria" stage to the "habit" stage. Other clubs' coaches look to move their programs to Welland's facility as a homebase during the off season. There will also be pressure on the Welland Soccer Club to expand programs as our income was a major selling point for the city to build the new complex. The complex's selling feature to politicians is that it would pay for itself, at no cost to the taxpayer. So what will be the result of new facilities? I am hoping to see expanded programs by all coaches across the board, top to bottom. Our new indoor fields do not have boards, so I am hoping to see more control and thought into playing rather than using the boards as a safety net. This has already been commented on by some parents so I think that result may be well on its way. I am hoping to see expanded membership, from U4 to adult, male and female. I am hoping that programs expand enough that we continue utilizing all of the fields at both locations. I am hoping the added enthusiasm will encourage more people to show interest in club governance. Building new facilities for any recreational activity is money well spent for any municipality. It's another selling feature in any city's "Work-Live-Play" scenario and it spruces up the area in which they are built. New facilities always have an overall positive effect, regardless of whether it's for professional or amateur sports. But is the effect long term? We can use the new facility to appeal to the curious and ambitious, but we have to make sure we have quality in the programs after the wow factor has faded away. I look forward to watching the club through the next few years. I will also enjoy observing the reaction from the soccer community for the next two summers as this is uncharted territory for me. I wasn't involved with the club when the last facility was built in 1983. But a bigger club doesn't mean a changed club. The new facility will attract people, but the technical staff and board has to change our program to add more value in terms of player development. The new facility's minimal effect should be more soccer, plain and simple. That's a gimme. I imagine our curious coaches will research training sessions that utilize portable goals and more out-of-town teams will consider Welland for pre-season friendlies. The adult programs are already showing a big increase in numbers. I will check back in here July 1 to report on membership numbers. In soccer, there is a no more beautiful site than a defender stepping up to get their head on an incoming cross. It always confused me when some parents were disappointed when their children were assigned a defending position on a soccer team. Even a hockey team. Maybe my appreciation for defenders came from my family culture (Italian) and who we followed (Serie A). Maybe I had good coaches with good teams that had solid appreciated defenders. As a young Canadian watching soccer I had the North American Soccer League to watch. My team was the New York Cosmos and Franz Beckenbauer was on the scene. The league had a lot of good defenders. Canadians have had a lot of strong defenders to look up to over the years: Bruce Wilson, Ian Bridge, Randy Samuel, Jason deVos, Frank Yallop, David Edgar ... on occasion Paul Stalteri. Big names that most Canadians know. If I wasn't big enough on defenders before 1982, Italy wining that World Cup pushed me over the edge with great names in the back like Gentile, Cabrini and Bergomi. Their names were just as big as Paolo Rossi and Bruno Conti. shoulder to be a defender, I was paying you the greatest of compliments as a player. Why the reluctance by our society? I had a boy who was an excellent defender and enjoyed the position but got nervous when I put him there because "his parents don't like it and will be mad on the way home". In the local newspaper, when the sports section prints quick stories on minor hockey and soccer results, who is mentioned? The goal scorers and goalkeeper. During hockey tournaments, who is the player of the game? A forward in a 6-4 win, the goalie in a 3-0 win. NEVER the defencemen. "Canadian soccer fans have had a lot of strong defenders to look up to over the years"
Confident playing ball with all parts of their body, in the penalty are under pressure. If somebody described me or one of my sons like this, I would be on Cloud-9. Soccer has come a long way since I played as a youth and since I started coaching in 1988. More people understand the position, but we still have a way to go. How, as a coach, do you sell the position? Well, one of my mentors, Rino Berardi, showed me on day-1 of my coaching. We had tryouts for an under 9 team in 1988 and he said "Boys, we are looking for 2 strong, fast, smart and confident soccer players to be our 2 central defenders. Not everybody can handle it, but we will see who can do it." From that day and for every game for 3 years when I announced our starters ALL hands went up when I would say "OK .... right defender .... "
Once the parents know you appreciate all spots on the field (including defender) so will they. Once the players know you appreciate all spots on the field, so will they. Here is my personal philosophy, however unfair it might be. You are not a true, well rounded player until you prove to me that you have all the tools to be an effective defender. This means mental, physical, tactical and technical. Every player on my youth teams have put in time with the back four. I owed it to them to be tested and work to make it a positive experience. Preach total soccer - 11 players defending and 11 players attacking. Don't leave defenders in the back waiting for the play. Give your players as much info as possible about the defender positions. Do not treat the back 4 as the "left over" spots. Give them important jobs on restarts, etc. Teach your parents when and what to cheer when defenders do good things during games. Give the kids names for role models. Every professional team has big name defenders. When you win a close game praise the defending efforts of everybody in preventing the equalizing goal. Preach/coach technical proficiency for your defenders. Preach the importance of winning the ball and keeping possession. Not to just give it back. "Regain and retain". Coach your midfielders/forwards to look for support from defenders on the attack. Conversely, teach the defenders how to join the attack (overlapping runs/shape/communication/set pieces/etc). Coach defending set pieces and give them leadership roles in the organization. Let them contribute to your half-time talk and encourage them to share what they see and help them learn the game. Make the position very positive and give everybody a chance to succeed there. While you're at it ... help the back 4 and GK learn to work together as a unit. I sometimes refer to them as my back 5 when coaching. Do not underestimate the importance of giving all of your players the tools to be strong defenders and the thrill you can give a player when they become a successful defender. I hope this is useful to you and you can find more ways to keep defenders motivated and appreciated. 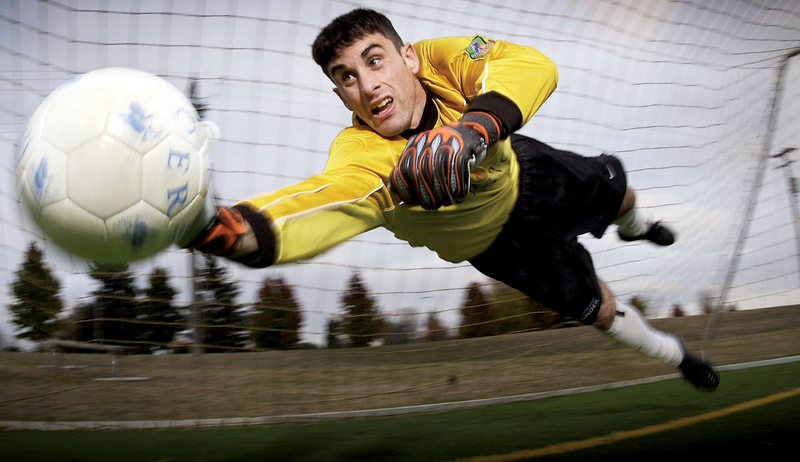 Is your Goalkeeper an active part of your soccer/football tactics? When your goalkeeper is not an active part of your team both in possession and defending, you are wasting a valuable position on the field. Before I start ... a shout out to Kevin Muldoon, former Canadian Keeper Coach who lectured at three of my licensing courses. A great resource, a seasoned coach, a true gentleman and now enshrined on his own in the Canadian Soccer Hall of Fame. I have a major weakness as a coach and that is trying to coach a team with a goalkeeper who can't play the ball from their feet. I am reluctant to make all of the concessions that I need to make to compensate for that. Since Day 1 of coaching, my GK had to be ready to play the ball. From the goalkeeper's point of view, I am not easy to play for as I expect you to be a willing member of my 11. Your team is playing 11v11, 9v9, 7v7 or 5v5. That numbers includes your goalkeeper and therein should lie your message. Teams need to stop treating their GK like an immobile, ball punting shot stopper and practice dummy. I am learning slowly that a lot of coaches are uncomfortable having the ball played back to the keeper. Playing the ball back to my own keeper has been coached to me since I was 13 years old. Why do coaches shy away? Is it the fear of the own-goal on a messed up play, or the ball being intercepted by a pressuring striker? I think the biggest factor affecting our collective fear is the type of kid who served as goalkeeper when we were younger. Smart coaches had good, athletic GKs and their teams were properly rewarded. But a lot of teams had their least athletic player in goal, their next least athletic players as defenders, and so on and so forth. The mainstream public did not understand what was required or even how the position fit into the grand scheme of things. But whether the GK was athletic or not, there was a reluctance to play the ball back to help keep possession. There was also a lack of GKs who took command of the defensive third of the field and ran the show from their position at the back. Why was that? I still don't understand. All of the immigrants who came here from soccer countries knew the GK was a big part of the game. They all had famous GKs and the mold for a good GK was already cast. Their GKs were good players, involved players and frequently used options in possession. Why did they not carry that mindset onto our fields when they coached Canadian kids? When we were youth players our GKs could pick up the ball on a pass back, so it was safer than it is now, but still wasn't common in our games. In 1992 the GK pass-back rule was changed so the GK could no longer pick up the ball from his own teammate's pass. Did that make us more afraid to pass back? Not sure. Where do the GKs come into play? Launch possible counter attack after receiving ball from an opposing cross or penetrating pass. So now you have an added responsibility at training; your #1 player, you goalkeeper. Don't let that tactically important position go to waste. Most clubs now have access to a GK coach who is part of the technical staff. Use them. LTPD, "Soccer for Life". Every stage counts. I heard some very refreshing words from a relatively smart guy this morning. People shy away from coaching when players are in their teenage years. Those players need good people coaching them during a very turbulent time in their personal development. My friend coaches an older girls team in the Niagara Region. The team is at the NRGSL level, which is a local league, but above house league. He took the team over a few years ago with admittedly little soccer experience. But he does understand the principles of team sports and his personality is conducive to being a good coach for teenagers. His wife is also involved with a younger boys team as well as assuming some admin duties for their club. So what makes him a good coach in my eyes? This morning we were chatting and I asked about his 2013 team. He told me he lost 5 players who moved to teams at higher levels and has replaced them with 5 new girls. Then he said "Hey, 5 players moved up and most of the girls made their high school teams in Grades 9 and 10 so far, so I guess I'm doing my job". This team has had some success on the field during league play, cup games and tournaments, and yet that was what he measured his success by; the success of his players. He then went on to say that he wasn't willing to win a game if he had to leave his weaker players sitting. He wants them all to keep playing and is hesitant to make it unpleasant for anybody. Looking to motivate them to keep playing. Keeps his attitude and program consistent with level of play and age group. Seeks help in giving them more info. Works to keep the game and the team interesting. ... regardless of the direction they are heading in and where they came from, the fact that they are teenagers should be the most influential factor when laying out your program. For all of those players, you have the same job. Remember who you are dealing with: teenagers. There is a lot more going on in their lives than just soccer. And regardless of the direction they are heading in and where they came from, the fact that they are teenagers should be the most influential of factors when laying out your program. psychological characteristics of the players. This does not change for the Soccer for Life stage. As a "Soccer for Life" coach you have several responsibilities. Your job is to take the players from Learn to Train and shape your program to motivate them to keep playing. Those players are our future coaches, soccer parents, sponsors, convenors and referees. Whether you coach Toronto FC U16 Academy boys or Wainfleet U14 girls, there are common elements to your approach. The TFC team will train harder and more often, but if that coach forgets he's dealing with teenagers, he's in big trouble. The main fault of coaches who fail with this age group is they forget to maintain the adult/teenager separation. Some think the players will relate better if they swear and act in an immature fashion. On the contrary, teens want solid adults in their lives that they can respect and work hard for. Don't fear the teenage player, but embrace them. Keep your head on straight, work hard to make your program interesting and enjoyable and it will be an experience you'll never forget.